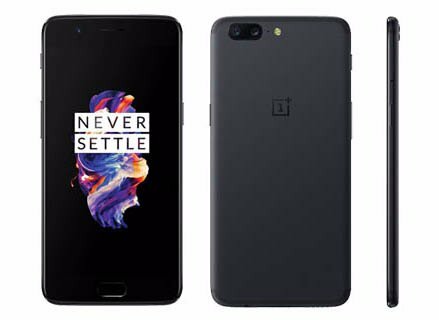 Skipping "4th Generation" Company finally launches OnePlus 5 with multiple high-end features (However this gadget is not kind of "Flagship Killer). Here we decided to point out Advantages and disadvantage of OnePlus 5. The key features of the handset are 5.5 inches Full HD Display, Android v7.1.1 Nougat OS, 16+20 MP Primary | 16 MP secondary camera, Snapdragon 835 Octa-core processor, 64/128 GB Internal | No SD Card support | 6/8 GB RAM and 3300 mAh battery. The craftsmanship of phone is matching with iPhone 7 Plus, however, it is not exactly duplicate but to some extent, it appears like Apple phone. The rear metallic panel and front 2.5D glass are separated by a strip running along with the edges of the phone. With 7.3mm thickness and a classy iPhone modified design. The smartphone looks premium and unique in hands. rear has 2 Camera in protruded oval shaped design. Beside the camera, a dual LED flash is fixed. The SIM card slot situated on the right and just below you will find a power button. Volume keys are fixed on the left and above these, an Alert Slider (which can activate 3 different profiles- Ring, Do not disturb, and Silent modes) is placed. If you are VR Fan OP5 disappointed us with its Full HD (1080 x 1920p) resolutions, We are expecting QHD (2560x1440 pixels) in this handset although its 5.5 inches Optic AMOLED Display is vibrant and clean enough to offer a great visibility even in sunlight conditions. This display also has 73.0% screen-to-body ratio which is mostly acceptable. after all, you will not able to detect the pixels by naked eyes in its 401 of pixel density So you can enjoy your media content with satisfaction. The screen is also protected with latest Corning Gorilla Glass 5 to provide a highly scratch resistant surface. Now it's the era of offering Dual Camera on the phone at least in flagship phones, So here this handset also offers 16+20 MP primary camera, The first camera has 16 MP resolutions, f/1.7 aperture and EIS for better stability and the another 20MP Tele Camera offers f/2.6 aperture for distance photography. Here the primary camera capable of giving a great result especially in daylight the output photos are neither washed out nor oversaturated while for the low-light result is not good as expected but just average. Dual primary camera setup is capable of providing a better "Bokeh effect" like DSLR. Unfortunately, this camera is missing OIS although it is replaced by EIS still results are not same. The secondary 16 MP selfie camera is quite impressive featuring f/2.0 aperture and EIS, It is auto HDR enabled and also can record 1080p videos. OnePlus selling its phones with the name of "Flagship Killer" so we can definitely expect the best CPU inside the phone, This model also has Qualcomm MSM8998 Snapdragon 835 processor with eight cores, where 4 powerful cores are clocked at 2.45 GHz and another 4 low power cores are clocked at 1.9GHz. This CPU is supported by the 8 GB RAM for better performance. Snapdragon 835 is 35% compact and 25% lesser power hungry than its previous versions which helps in making the phone much pocket-friendly and offers better battery backup. The Gamers will be definitely happy as it has Adreno 540 GPU that delivers up to 25% faster graphics rendering and 60 times more display colors, overall it is not going to disappoint the user by its performance which is equally good as Samsung Galaxy S8. In the battery department OP5 disappointed us by the fact that they were offering 3400 mAh battery in its previous OnePlus 3T model but now in this latest device they reduced it to 3300 mAh, However we are also well aware of the fact that it comes up with Snapdragon 835 CPU which is 25% more power efficient than its older version. Phone can offer 19:30 hours battery backup in calling over 3G network. Premium design that is inspired form iPhone 7 plus with multiple modifications. It can record 4K Videos with excellent details and good quality. It also has a LED Notification. The performance of phone is equally good as flagship phone of Tier 1 brands. The display is protected with the Corning Gorilla Glass 5. The camera is featuring 2x optical Zoom for lossless closer photography. The display is only Full HD for a flagship phone, not suitable for VR. They are missing key features like OIS, IR blaster, and FM Radio. There is no place to expand the memory with the help of SD Card. The company doesn't offer SD Card slot and still missing IP68 water resistant body. Only 2 Midnight Black and Slate Grey Colour variants are available. Non-removable Battery capacity is reduced from last handset (3400mAh to 3300mAh). 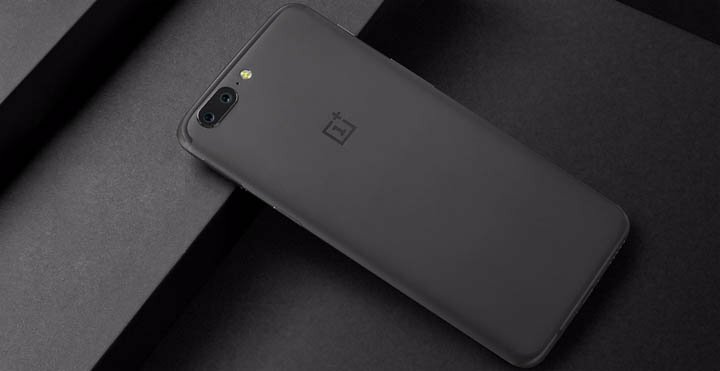 OnePlus brand got popularity because it was offering the high-end quality features at less than half price of Tier 1 brands like Apple, Samsung, Sony and LG. the OnePlus 5 also offering many high-end features but for now, I think they lost their " Flagship Killer" tag. the handset is missing multiple crucial features that we are expecting in this phone. Although you will get a decent 5.5 inches Display, Well crafted premium design, Camera that offers quality pictures, Best CPU coupled with the 8 GB RAM and a Battery that can easily stand for one full day however now this handset is slightly expensive than its previous version. in the same price, you can also go for the LG G6, Samsung Galaxy S7 Edge and Xiaomi Mi 6.